The Greater Tampa Area is dog-friendly. Many area businesses are happy to accommodate you and your pooch, and there are lots of great dog parks and beaches to enjoy as well. The following is a partial list of them. This might just be the best dog beach anywhere. It’s located in Fort Desoto State Park, where the beach regularly ranks among the best in the world. 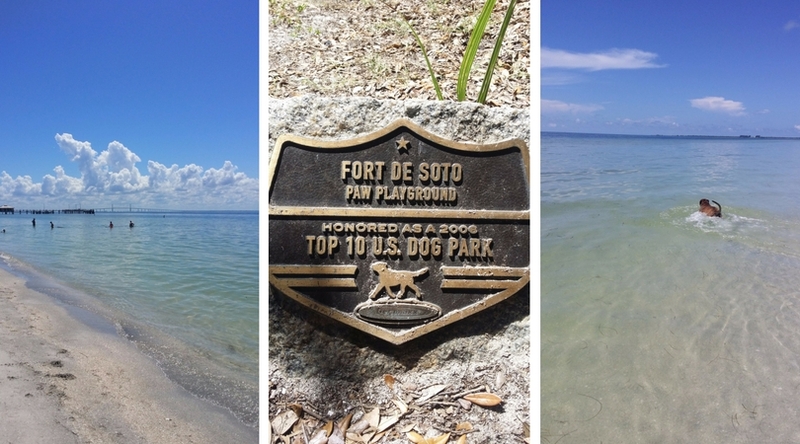 You get to enjoy the beautiful, clear turquoise waters and sugary sand of The Gulf of Mexico with your pooch. It’s a beautiful dog-friendly beach that the whole family can enjoy. Just know ahead of time that dogs will track sand across your blankets and shake water off themselves onto you. It’s pretty much a given, but it’s worth it for a great outing at a gorgeous beach. This off-leash beach area is not fenced, so you’ll want to be sure that Fido won’t take off. There is a fenced area to play that’s set a little back from the water. It is separated for large and small dogs. Those areas do not extend into the water, however. It’s in this area where you’ll also find dog washing stations before heading back home. This sweet spot is fenced in on all sides, including a good part of the swimming area as well. All dogs, big and small, are mixed in here, so you’ll want to be sure that your pooch is safe to be around all size dogs. There is actually a small fenced area for small dogs, but it’s rarely used. It’s a good spot to use if your pooch needs some fenced alone time. The dogs enjoy the sandy beach area and water for wading and swimming. There’s a double gated entry and waste bags are provided. There is a water fountain (for dogs and humans), a bathing station and several benches for sitting. This is a great park to enjoy with your pup during hot days. The bathing station is located at the exit, so it’s just where you want it to be to get out of there as sandless as possible. 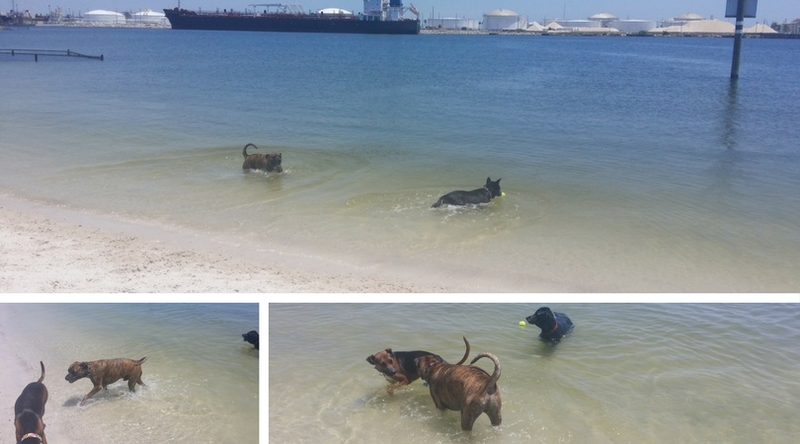 Lots of reviews and pictures of Davis Island Dog Beach on Yelp. 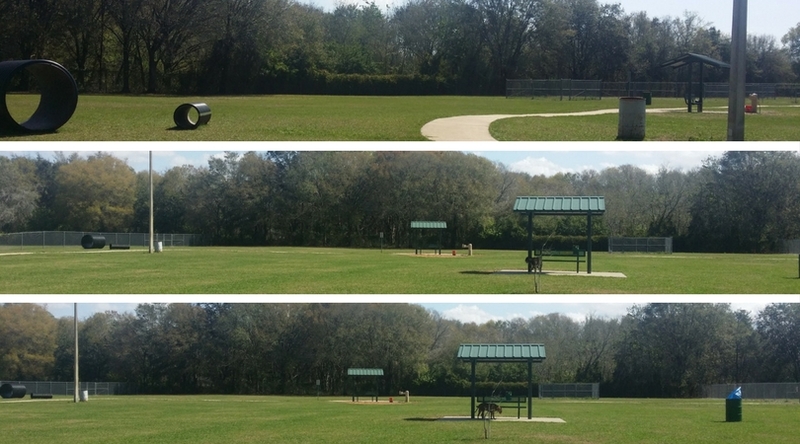 This 5 acre fully fenced dog part is located in the Citrus Park area of Tampa in the Logan Gate community, but open to the public. Unlike some other dog parks, this park is large enough that the grass holds up under all that play so it’s pretty and far less dusty than some others. It is one large play area, though, no separation for large and small dogs, so you’ll want to be sure that your dog is comfortable in that environment. There is a covered bench area and water station for drinking and bathing. This county park is frequented by many Northwest Tampa residents. It doesn’t get very crowded and peak playtimes during the week are between about 4-7. There are a few chairs, a picnic table and lots of shade trees. There is a water fountain (for dogs and humans), a hose and a few kiddy pools. There are two sides, one for small dogs and another for larger dogs. Both areas are large enough for dogs to run off their energy. The shade makes it challenging to keep grass growing, especially with all the romping around, so the ground is often pretty dusty. Otherwise, you’ll find a great group of people and pooches enjoying some QT. Bring Fido is a great resource for pet owners and they have a comprehensive list of more local dog parks, pet-friendly lodging, restaurants, bars and more. 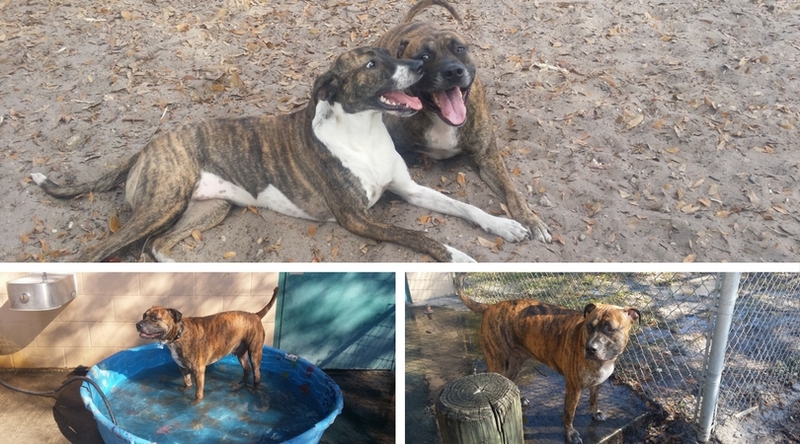 ***By the way, that handsome brindle baby in these pictures is my Bubby. 😉 He approves of this list.